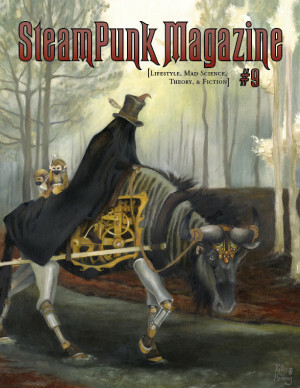 Steampunk Magazine » A SteamPunk's Guide to the Apocalypse! A SteamPunk's Guide to the Apocalypse! We’re dreadfully sorry, we had forgotten to add A SteamPunk’s Guide to the Apocalypse to our orders page! This error has since been corrected. We’ve also added a collection of steamypunk (for mature readers only), another patch, and two grab-bags of free zines that you can add to any order.